The president of the European Commission has said he is sure a Brexit agreement could be reached in November, if not sooner. Jean-Claude Juncker told three Austrian newspapers that Brexit without a deal "would not be good for the UK, as it is for the rest of the union". He added: "I assume that we will reach agreement on the terms of the withdrawal agreement. "We also need to agree on a political statement that accompanies this withdrawal agreement - we are not that far yet." He said: "I have reason to think that the rapprochement potential between both sides has increased in recent days, but it can not be foreseen whether we will finish in October. "If not, we'll do it in November." Britain and the EU are trying to agree a divorce deal as well as one for a post-Brexit relationship in time for leaders' summits scheduled for 17-18 October and 17-18 November. 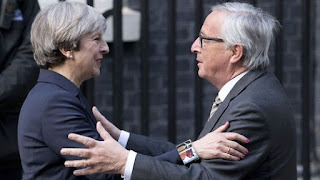 Mr Juncker insisted that the EU's "will is unbroken to reach agreement" with Britain but spoke of his regret that the European Commission had not been involved in the 2016 referendum campaign. He said that the then-government of David Cameron had asked him "not to interfere". "If the commission intervened, perhaps the right questions would have entered the debate," he added. "Now you discover new problems almost daily, on both sides. "At that time it was already clear to us to what trials and tribulations this pitiful vote of the British would lead."